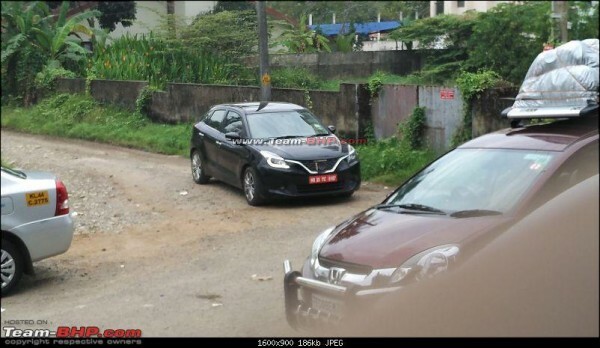 Maruti Suzuki launched the Baleno hatchback in India some months ago and now the more powerful variant of the newest offering from India’s largest car maker has been spotted on test in Cochin, India. The spied car featured the 1.0 liter turbocharged petrol mill dubbed Boosterjet. 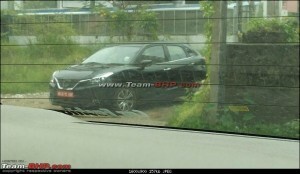 As you can see in the pictures, the test mule spied here is black in color and the Baleno is not available with the black color as of now. 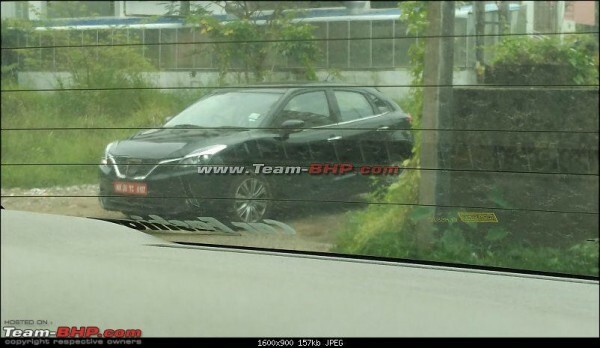 Also, the Team-BHP member who spotted the car mentions the Baleno Boosterjet was being benchmarked against the Volkswagen Polo GT TSI and both cars were being driven back to back. This Baleno test mule featured had a 5-speed manual transmission (the Polo is only available with a 7-speed automatic). Speaking of the engine, this Boosterjet mill is essentially a 3 cylinder 1.0 liter turbocharged petrol which cranks out 110 bhp and 170 Nm of twist. Currently, the Baleno is available with a 1.2 liter naturally aspirated petrol mill which churns out 83 bhp and 115 Nm of twist and a 1.3 liter diesel mill with 74 bhp and 190 Nm. The Team-BHP member also mentions that the car under test was an export model and had additional safety features such as side airbags, all four disc brakes, tyre pressure monitoring system and radar-based brake support (which was disabled as seen in the MID).